In #1008, I said the Feds had used "Taiwan travel Act" as a starting signal to the framed case. On 3/12 I was once blocked to post #1008 in Internet. Then my wife abruptly changed her leaving date from 3/17 to 3/14. I think my conclusion that the Feds used "Taiwan travel Act" particularly on my case is very correct. The Feds try to discredit it by changing my wife's leaving date. It doesn't actually affect normal trip. That Act, also convince people that China is hostile to US and Taiwan, so it's impossible that they collude for a conspiracy. It also plays a role to distract the plot if China intensifies the situation to a war. China must “strike back” against U.S. interference over Taiwan and prepare for a “direct military clash,” Beijing state media has said. The tactic is similar to the firing of FBI deputy McCabe When Trump hails Andrew McCabe’s Firing As ‘A Great Day For Democracy’. 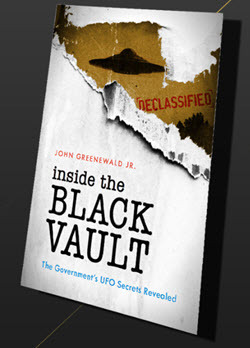 It covers up the relationship between the Feds and the framed case. The "Taiwan Travel Act" covers up a dirty framed case applying on innocent people. In fact, these are part of "2018 March plot". 3/16, Donald Trump signs "Taiwan Travel Act. 3/17, my wife's original planed leaving date. Means the case starts. 3/18, A.G. Sessions fires FBI deputy McCabe. In this case, the Feds(FBI and DEA) are masterminds. The main actors are Taiwan and Chinese secret police. Taiwan's security depends on US, so it has to follow the order from the Feds. "Taiwan Travel Act" itself is a payment to Taiwan already. China used to be paid big reward in such case. I think they have had a secret deal early this month. Liu He, a member of the Political Bureau of the Communist Party of China Central Committee, will visit the United States from Feb 27 to March 3, the Foreign Ministry confirmed on Monday. I am the murder target of the FBI because I revealed the true face of the Feds (FBI and DEA) in Internet. To eliminate a witness of their crime, the Feds try to wrong me in criminal case. That takes three decades long. They recruit my relatives as their informants (include my wife). Now, eager to finish this case, they have to eliminate those informants because they joined the illegal surveillance. The major way they used is to arrange them in tours. It's easy to create incidents and easy to plant illegal things when they are in travel. My wife, my brother and his wife are arranged a travel to China and Taiwan from 3/17 to 3/31. The Feds created several big events for this framed case. 1. On 3/16, President Trump signed a "Taiwan Travel Act" which is a signal to start that "murder plot". It also a payment to Taiwan to support the framed case. 2. 3/17 is original the start date of travel. 3. 3/18. A.G. Sessions fired FBI deputy Andrew McCabe. FBI is the mastermind of this framed case. This is a whip to urge the Feds finish the case in March. 4. 3/26. China launches yuan crude oil futures in Shanghai. I think to make it a success is part of payment in secret deal between US and Chinese secret police. They choose this occasion for their framed case. 5. 3/30, my relatives will go to Shanghai where my wife will go back to US. My brother will stay for another month. I think that's the time they would be arrested for a framed drug case when they pass through the Custom. "A group of Chinese girls in overseas are waiting for death penalty, what have they done?" 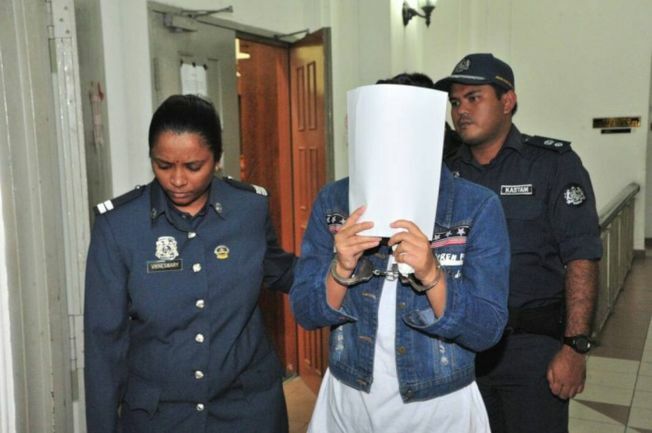 It says these girls were charged by Malaysia government for drug smuggling and their stories. I think Trump is pushed out to be the scapegoat of the coming economic crisis. I wrote this two years ago. I failed to post it. I was blocked to post #1008 for a while, I thought it might because I revealed China is the partner of this plot, the Feds doesn't want to offend their friend. I shortened the reply as this: You can see the difference. Clinton left White House a surplus. But Bush started two wars in Mid-east and finally touch off a financial crisis in 2008. Now they need someone to take the responsibility. C is my sister in law. Her sister and one of her brothers are the initiators of this Taiwan tour. 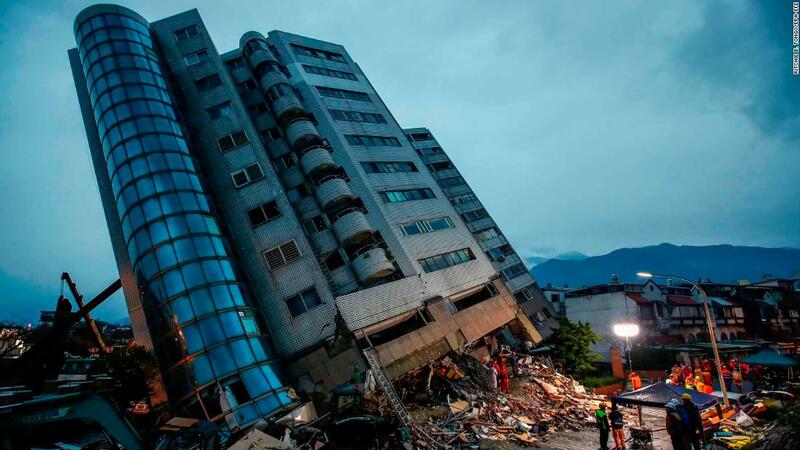 In early February, there was a earthquake in Taiwan. I talked about it in message 1004. A couple of distant relatives who planed to go on this tour quit it due to the safety consideration. The two initiators withdrew at last moment. The I.D. C-sister and C-brother hold are green cards. My wife is travel agent so she warned them they have to apply "Permit to Enter Taiwan". She advised them to do so through travel agency when they ordered the Taiwan trip. It was convenient for both. But they refused and said they had their way to get that permission. The result was they were banned to board the flight for lack of sufficient document in Shanghai Air Port. When the rest people got to Taiwan, my brother stumbled and broke his wrist. He has to be in plaster bandage for three months so he couldn't join this tour. From the beginning I said this is a trap the Feds set up to murder my wife, my brother and his wife. It seems my brother is a main target. When he had an incident, couldn't start his tour, the designated travel trap lost its meaning. I think at this time the Feds issued the news of the execution of drug smuggling girls to intimidate me. (I go to "World Journal" web everyday.) It means "We can kill you in many ways. Either in travel accident or by a framed case." I did believe they would do that at that time and wrote "1012. Murder attempt on my wife three days later (3/27/2018)"
The story of C-sister and C-brother may indicate how the Feds lure people into a trap and how vastly they use friends and relatives of people as informants. (1,002). Pressure on FBI and earthquake (1/27/2018)1014. Last September, my wife had a Canada tour. It was arranged by the Feds, I think. I found the Feds tried to contaminate me with drug trace by newspaper and arrested me by claiming they found drug trace in sewage water. Since then, I take bath as little as I can. In early April, I took a basin bath. To avoid the Feds to plant drug trace in sewage water, I poured the bathing water into the lane. I didn't think they could pick up sewage water in street as evidence. But they did. A news said a storm would come on 4/6. The atmospheric river did bring rainwater that washed the lane. 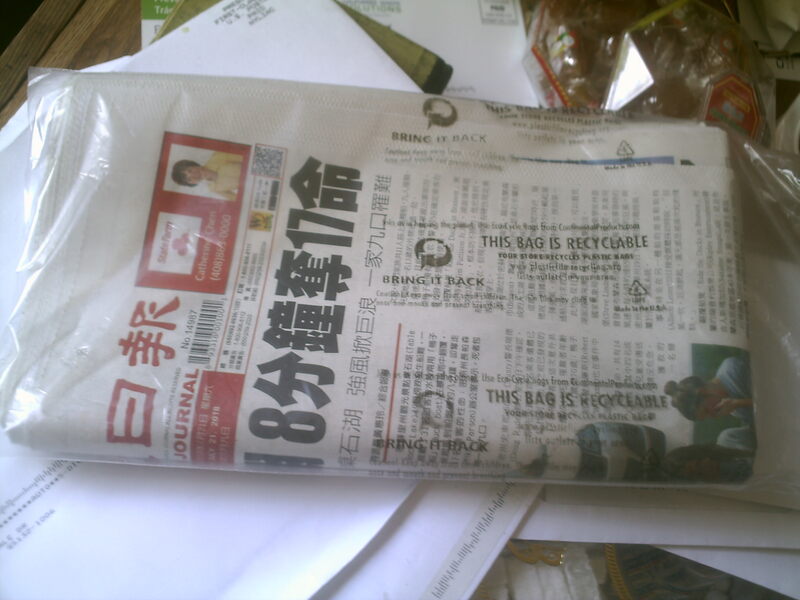 I noticed the old newspaper in front of my house which was left there six months ago. It proves how easy to plant drug trace on victims. Picture of old newspaper took on Apr.8/2018. In #979, I predicted 9/2 would be action day of the framed case (my wife started her Canada travel) and thereafter there would be a Korea war crisis to distract. Kim Jong-un did detonate a hydrogen bomb to the order, but there was no action on me. What happened? I think the Feds planed to arrest me on 9/2. The excuse of arrest was "found drug trace on my body". How could they do that? I found in this way. 8/12, my wife said she would have a tour to Canada. Next day was Sunday, someone dropped a San Jose Mercury News (local newspaper) at my door. Then for consecutive four weeks I received five Mercury News Sunday edition. That was from 8/13 to 9/10. My wife's travel period was from 9/2 to 9/9. I was a subscriber of San Jose Mercury News. I cancelled the subscription decades ago due to financial reason. I did pick up the first free Sunday paper to read. Then I thought of the harsh situation I am in. I didn't touch the free paper thereafter. "9/1 - 9/4 Unprecedented heat over San Jose area. California’s history-making heat wave set new all-time records for the second day in a row. I have no air condition in my house. You can imagine in three digit temperature. What's there purpose, i don't know. To force the window open wide so leaked gas can get in? Or let hitter easy in when the door open wide?" I think the purpose was to push me taking bath so they could collect drug trace from the sewage water they collected. The drug trace might be from polluted news paper or some other sources they deliberately planted. I hadn't taken bath in these sweating days. Now they hurriedly organized another long trip for my wife, 10/2 to 10/18, 16 days. What will take place? If the Feds can arrest people in this way, it's too easy to plant and frame innocent people. Pictures of free Sunday papers at the door. My wife was arranged a Canada tour in 9/2 to 9/9 last year. With which I predicted 9/2 would be action date and likely Korea crisis would be followed to distract. See #979. The murder attempt on me in last September repeats in this month. Around 9:40 a.m., just after San Jose residents experienced hail, torrential rain and thunderous dark clouds, the earth beneath them suddenly shifted. The 3.9 quake was centered about nine miles northeast of downtown San Jose, in the Alum Rock region. Tremors were felt in Milpitas, Fremont and Santa Clara, the USGS reported. Office towers shook in downtown San Jose. Why the Feds abandoned the planed "Hurricane Harvey" and "Charlottesville racial riot"? Because they focus on murdering Kat Sung. 9/2 plan is a one they think can certainly killing me. In murder case, They used to perform action on Friday. Jail won't release detainee on bail in week- ends. So the Feds have two days(Saturday and Sunday) to do the killing. I have no income, I have no available working phone. If I were arrested when my wife was absent, nobody would have known that I was in prison. This time my wife travels to Canada from 9/2 to 9/9. The Feds could have seven days to do a "suicide" death. What will be big event used to distract public's attention? I think it is war in Korea Peninsula. Same day on Aug.3rd, there was a "Fed Ex" cart roaring into my lane, then came a PG&E pick up to replace the gas meter of my house. That assures me the Feds decide to carry out unreasonable search and arrest by damaging my garage door or perform a "gas leaking" trick. See "974. Prepare for a gas leaking (8/9/2017)" From the timing, the announcement of Korea travel ban(Aug. 3rd) was accordance to harassing show off in my lane. Also be noticed that the N.Korea travel ban(9/1) is a day before my wife's Canada travel(9/2). Since 8/28, several times I was awakened by strong ground vibration around 3 a.m.to 4 a.m. It's acoustic weapon. The Feds seems try to damage the under ground gas pipe with resonance wave. 9/1 - 9/4 Unprecedented heat over San Jose area. I have no air condition in my house. You can imagine in three digit temperature. What's there purpose, i don't know. To force the window open wide so leaked gas can get in? Or let hitter easy in when the door open wide? The Feds are eager to finish my case. The plot is coming one after another. On 4/28, some people in neighbor cleaned the residual Ivy on fence. (They cleaned mass Ivy several weeks ago) then a Chinese lady came to my house. She said she was the neighbor that had suggested to share the cost to remove the ivy on our fence. I thought that was a tactic of "unreasonable search" so I wrote "1007. Search attempt by digging the ground (3/2/2018)". This time she came to talk about to share the cost of replacing the fence. Since I have no income, all deals are done by my wife. She talked with that lady and then signed a check to her. What I cared for was we wouldn't pay for the Ivy remove.My wife said the payee was a fence company and the lady said she paid ivy removal. When the lady left, my wife said the estimate was 580 and we paid 260. Since there is a third payer, (one fence shared by three houses), I asked "did we pay too much?" My wife burst into rage, "Then you go to argue with them". I could say nothing because that's not my money. Was my wife part in this plot? She has to obey to the Feds anyway. What caused my suspicion was that lady at first insisted demanding my wife write down the deal on paper for her until my wife wrote her a check. I later think what she needs is my address. I have no doubt what behind her and "Fence company" is the Feds. (FBI and DEA). How can they wrong me in this "fence" case? I think of the address. They need a justification to drive a car to my home, although we have no connection to that fence company, the check gave the address to them. The Feds had tried to damage my garage door so they could have a search and arrest by disguise garage door contractor, but with no good reason. They planed this plot. On 3/18, Mercury News reported: "Unlicensed contractors get stung". 59 unlicensed builders were nabbed in an undercover sting operation. Those nabbed by the ruse were given criminal citations that could land them in jail for a maximum of six months, or they could be ordered to pay a $1,000 fine." That's amazing similar to the event taken place in July 2003. When Feds tried to force me to have a roof contract with them, they created a roofing worker's death to intimidate other uninsured roofers out of the market. So the undercover contractor could get the deal. (see "145. SARS, a big issue(7/20/03)"
To avoid an unreasonable search, I repaired the garage door. It's more then ten years now, the repaired garage door had worn out and had to be replaced. In late May, the Homeowner Association mailed me a notice that there would be a meeting. I knew that was to justify an inspection. The target was the garage door. In mid June, my wife gave me a weekly magazine - "USCITYPOST"(June 17, 2017) In its "Business Classified", I found four advertisement of "Garage door" contractors. In newspaper commercial, "Garage door" is a rare. That four ads obviously were prepared for me. To avoid being framed by the Feds, I had to do it by myself. I thought of the original one piece garage door which I hadn't abandoned. The Homeowners Association's meeting date was set on 7/26. I had to replace the garage door at that time. In mid July, I dug out the old one piece door. What surprised me was next day President Trump told media he was going to fire Sessions. In an interview with the New York Times, the president on Wednesday slammed Sessions for recusing himself from the Russia investigation, believing that this action led to the appointment of a special counsel. Trump is unqualified to be president. His victory was out of the support of the Feds. (FBI) Now I believe his main task is to eliminate me - Kat Sung. When they thought it was a certain, they didn't expect I dug out an old door. So Trump was so angry. They quickly plan new plots in rogue's way. On Aug. 3, a "Fed Express" cart roared into the lane, not for delivery, but turned around to drive out. Then came the PG&E engineer pick up to replace the gas meter of my house. I think they have two plans: 1. To create a gas leaking. 2. To damage newly installed garage door to force a replacement. I believe so because two days later, a US Mail cart rushed into the lane too. Both cars rushed in with high speed that caused large noise. That was not the way to move in small lane. As for why changed a mail car later? The "Fed Express" cart is too big and long, not easy to aim the target in a lane. The mail car is smaller and easy to carry out the impact mission. The Feds planned Taiwan travel to murder my wife and my brother and his wife. To push the executive body to accomplish the mission, they intimidated the FBI by firing its deputy McCabe. 3/16, A.G. Sessions fires FBI deputy McCabe. 3/17, my wife's original planed leaving date for her Taiwan travel. On 3/31, my wife went back home. The March murder mission went soured under my constant revelation. New plot starts. So we see new extortion. McCabe seems to be a sacrifice. He was fired, now he faces prosecution. I had alleged the Feds plotted a murder case on 8/3/2017 or so. A news later proves I'm very correct. On 8/3, a P.G.& E engineer truck drove in my lane. A worker changed the gas meter of my house ....... Three months ago P.G.& E had a commercial in TV Chinese channel to apologize for deaths caused by gas leaking explosion six years ago. Now they are in action. It can be an explosion murder or an unreasonable search in the name of gas leaking. " I think they have two plans: 1. To create a gas leaking. 2. To damage newly installed garage door to force a replacement. I believe so because two days later, a US Mail cart rushed into the lane too. Both cars rushed in with high speed that caused large noise. That was not the way to move in small lane. As for why changed a mail car later? The "Fed Express" cart is too big and long, not easy to aim the target in a lane. The mail car is smaller and easy to carry out the impact mission." I also said something would happen on my wife's tour 10/2 to 10/18. That "something" was later found to be "LasVegas mass slaughter". It took place two hours before my wife's leaving. Shooting started at 22:10 Oct/1. My wife's flight took off on 0:55 Oct/2. The framed case is going on. My wife said she'll go another trip to Europe from 10/2 to 10/18. So something will happen at that time. 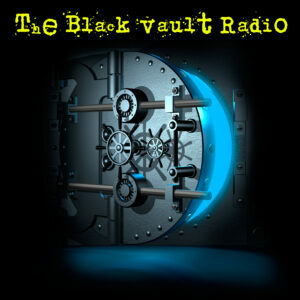 ......"
Las Vegas mass slaughtering was a distraction case done by the Feds(FBI and DEA). I am the murder target of the Feds(FBI and DEA). ......."
Here is the news proves my allegation is very correct. Stephen Paddock had prepared a mass shooting case for 8/3 too. booked one room at the Blackstone Hotel in Chicago, shich he was due to check into on August 1, and he booked a second room for check in on August 3, a law enforcement official told USA Today. Two years ago, in (902. Trump's job) I concluded "The main job is to cover up the murder case - to kill Kat Sung, his relatives and people who know this story." 3/10/2017 Trump Abruptly Ordered 46 Federal Prosecutors to Resign. 5/9, Trump fired FBI Director Comey. (It proves Comey's story "Trump demands "loyal" ". 8/3, I found the Feds started main plot of "gas explosion" and "search by damaged house" intention. Here are three plots to murder my wife. 9/2 - 9/10, my wife left for Canada. 9/3, N. Korea exploded a hydrogen bomb. (used as distraction) It was a planned distraction. N. Korea did their job to the secret deal but Trump did nothing to react. Because the main target - Kat Sung, is still alive. (2) 10/2 - 10/18 My wife go another trip to Europe. 9/25 I wrote in "(983) So something will happen at that time." That "something" became "Las Vegas mass shooting". It was used as a distraction. It was a remedial case hurried done for 9/2 case. So there was a lot of flaws in this event. (3) 3/17 - 3/31 My wife and my brother were arranged a travel to Taiwan. I predicted something big would happen in this case but nothing took place. I think that's because I had previously made some correct predictions. The Feds try to distract it. Here is another story that Trump use foreign affair in my case when I noticed he announced to withdraw from "Iran nuclear deal" on 5/8, not original 5/12. Why did they change the time? On 5/7, Contractor came to my yard and replaced the fence. If the Feds created a case then they need something to distract. That's their routine job. see "1018. Frame a case by "replace fence" (4/30/2018)". I had accurately predicted the plot of Sept/2,2017. "What will be big event used to distract public's attention? I think it is war in Korea Peninsula." 9/3, N. Korea exploded a hydrogen bomb. It was a planned distraction. N. Korea did its job to the secret deal but Trump did nothing to react. Because the main target - Kat Sung, is still alive. Anyway, N.Korea wouldn't do it for nothing, here is how it got its payment - oil. Three months later, a large scale oil smuggling to N.Korea took place on the sea. But foreign media have reported a Hong Kong cargo ship and Russian tankers had transferred refined oil to North Korean ships at sea. Trump Rebuked China for North Korea’s Oil Smuggling. It’s More Complicated. Last month, the United States tried to persuade other members of the United Nations Security Council to blacklist 10 ships that it said were involved in smuggling oil and coal. In addition to the Lighthouse Winmore, this list, obtained by The New York Times, included four North Korean-flagged vessels, as well as ships linked to South Korea, Hong Kong, Taiwan and China. Who's behind it? Watch the last sentence who could push S.Korea, Hong Kong, Taiwan and China to violate a sanction against N.Korea? When Trump told world he would return Kim with "fire and fury", it was just a stage show. When Kim and Trump will meet on 6/12, a deal has been made already under table. Big events happen in June will attract public's attention. Not only US - N.Korea summit, but also US China trade negotiation. The Feds won't miss this chance, I think, they may frame a case to arrest and murder early next month. These days, I was heavily attacked by eye poison. When the dose is big, the eye having a piercing pain with a lot of tears. Then there is a hard feeling for the eye. I have to close my eye to rest from time to time. In the past, it was used to be one poisoned food.(e.g. candy) This time it is a large scale attack. At least five different vegetables were poisoned. Other food (like biscuit, cracker) were poisoned too. My wife eats seperately from me. I think that was requested by the Feds for the convenience of poison. So we had different food. But this time she was affected too. I saw several times she using eyedrops. She became the target too. Sometime ago, I frequently felt a bloody smell from stomach after eating something. I abandoned the food and think that probably was a kind of poison eroded the membrane of stomach that caused bleeding. Now this news said it is a blood thinning agent. One kind of poison is a popularly used by Chinese secret police. The symptom is there is itching in joint after eating the food. I allege it would end with thyroid cancer. I used to find it in Chinese candy and biscuit, Especially in date (fruit) and chestnut. They used to be given us as gift from people who came back from a China tour. Another poison causes dim vision. I think it is derived from a mouse poison. In a box of "Rat killing bait" I saw the instruction said the bait killing mice by blinding their eyes. The symptom is it came with a lot of tears after eating the food. It used to be mixed in Chocolate as candy. It also can be found in vegetables. I also find it frequently in muffin and cake of a large food wholesale club. Last year my wife had a European tour. She brought back many chocolate, cookie gift box. I found they were all contaminated with that vision poison. I asked why she bought so many she said the "tax free store" was just on sale when she went there. That's the way how the Feds deliver the poison food to their target. Trump imposes tariffs of 25% for steel and 10% for aluminium On imports from allies. That's obviously a part of his plan to boost US automobile and air plane industry. It needs a lot of steel to manufacture a car and a lot of aluminium for a plane. The next step he will do is to impose high tariff on imported car to push up domestic auto industry. What about the air plane? I noticed the following air incidents. The jet's CFM56-7B engines were made by CFM International, jointly owned by General Electric and Safran Aircraft Engines of France. I think that's a demonstration to other countries how to create an air incident if they want to justify a change in their plane supplier. All 128 people aboard the Airbus A319 survived the ordeal. The aircraft was an Airbus A321, according to plane tracking website FlightAware. In April, a woman died after being partially sucked out of a Southwest Airlines flight headed to Dallas from New York when a porthole was shattered mid-flight. These two incidents took place in two weeks at the time when US and China had trade negotiation. Planes are all from Airbus. The incident style are all similar to Southwest airline style. We know there are only two main airplane manufacturer in the world - Boeing and Airbus. If Trump want to make Boeing great, he has to bite a big chunk from Airbus. I hope there will be no blood air accident in coming trade negotiation with other countries. Generally, people won't think of they are spied by their kitchenware unless they are illusionist. I don't think Kellyanne Conway is fantastic. Since the Feds used to monitor high ranking politicians by recruited shills. I think she is an agent that monitors the White House. She has been trained with those surveillance instrument so she knows it. A month or so ago, the rice cooker in my kitchen went out of order. It automatically shut the power off two minutes after starting. I had to re-start it from time to time. Last week my wife said she had it repaired. Since she used to throw the damaged appliances away and now there is rare people to repair rice cooker. I leave that repaired rice cooker alone. What I worry about is not surveillance camera they might put inside. I worry about they might installed microwave instrument that will kill. About 15 years ago, my wife told me a computer company on up stair of her tourist agency was shut down. The computer company had a garage sale on its asset. She bought a refrigerator. Since the "Operation Fire Dragon" just ended, (see 32. "Operation Fire Dragon") and Feds used to monitor the target as close as possible, I thought it was a surveillance team covered up in the name of "computer company". I kept a wary eye on that refrigerator from the Feds and refuse to use it. We had two refrigerators already in the kitchen. I put it in the garage. The refrigerator was moved to S.F.. B put it in the porch - he didn't need it. That night someone broke off the low compartment of the refrigerator and took off something inside it. Several days later I went to visit my parents there and saw it with a black opening in the bottom. It was the popping up of the housing bubble that caused the financial tsunami in 2008. The bubble hasn't been cleaned up completely. The real estate loan were lent from banks. No big bank collapsed. They were bailed out by government with tax-payers' money. The banks still held large quantity of foreclosed houses. Then we saw Federal Reserve's Quantitative easy program. That money took over the foreclosed houses for a larger bubble. QE3, where the central bank had spent close to $40 billion per month in mortgage-backed securities. So much money injected into real estate's area, that's why I said there is only one bubble - the 2007 one hasn't been cleaned up and the residue has been extended to a even bigger one - I call it 2017 bubtble. I say 2017 bubble because: 1. Federal Reserve said it likely will increase interest twice this year - that will pop up the housin g bubble. Several months ago, news said the house price raising rapidly in Seattle area that created homeless problem. Since I know real estate business is a bank where the Feds draw money from, so something would happen there. Then came the trade negotiation with China and those Airbus accidents. Boeing's factory is in Seattle. If Trump wins a big deal for Boeing, the real estates business will be prosperous too. And it seems the planners foresaw the scene. They have gone into that market already. The San Jose area’s median home value right now is $1,128,300, making it the nation’s most expensive market, according to Zillow. The median home value in the San Francisco metropolitan area — San Francisco, Marin, San Mateo, Alameda and Contra Costa counties — is $893,100, the second highest in the U.S. The Seattle metro area is third most costly, with a median home value of $463,800. I live in San Jose, my sisters live in San Francisco. The Feds makes it to bubbles no.1 and No.2. The 3rd one is now Seattle. You don't have to be expert to see how big the stock market bubble is. The top on chart was 20,100 two years ago, it's now well over 24,000. Another big bubble is the stock market. I think it is manipulated by the rich people who rule this country. To maintain the stock in high price until others to take it over, you have to pour money into the market. That's why Trump pushed out "tax reform bill. That was a record number, topping the prior record of $172 billion in 2007, right before the start of the Great Recession. The money returned to companies are used to boost stocks instead be invested to create jobs and boost wages. When a bill was passed, a deal between politicians and rich people has been made already. The next step is to create crisis in world to push the money flowing into US to take over the bubble. Recently from #1024 to #1028, I revealed how the Feds manipulate the financial market that created two big bubbles. 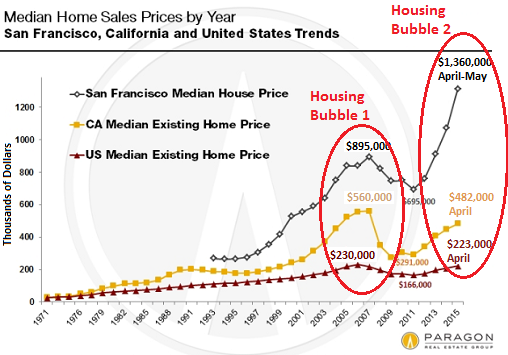 One is real estate bubble in San Jose and San Francisco area, the other one is the stock market bubble. To keep these two bubbles stay big, they let Federal Reserve to keep the bench mark interest rate as low as near zero. After eight years, Federal Reserve can't stay there any more. It's time to get business back to normal. As the 10 year treasury rate climbs to near 3%, the housing bubble and stock market bubble are facing popping off. That means the Feds will lose a money machine for my case. As usual, there is a push at the Feds. Here is the response of Sessions. Attorney General Jeff Sessions said on Monday the Justice Department was beefing up its fight against violent crime, drug use and illegal immigration by assigning 311 new prosecutors to work on the problems, the largest increase in decades. For the second weekend in a row, temperatures across the Bay Area are expected to soar near the century mark Saturday. Thankfully, the heat won’t last long. I think so because that heat does last long until now (another two weeks from 6/27). I am afraid to be framed so dare not go for a shower and the heat won't go away too, seems waiting for my bathing. This is a big investment with a size of half million vehicles. It's strange Trump didn't come out to speak something like he said on Harley Davidson and media generally silence on it. ZTE is high-tech company that China eagerly wants to keep it alive. Trump satisfies its will. Politicians and media are quiet too. BEIJING (Reuters) - A Chinese man who embezzled $485 million from his employer in the biggest bank corruption case in China's history was repatriated on Wednesday by U.S. These were big events took place a week ago. They looked like a concession made by Trump to China in trade negotiation. It is not. The tariffs problem is not resolved. The deport of Chinese most wanted indicates it's a secret deal between the Feds and Chinese secret police. I think they are framing a new drug case. In the morning of 7/21/2018, I took out the plastic box which I used as basin for bath. (about 15 gallon size) I also use it to collect water when I water the garden. After watering the garden I put the box in bathroom, planed to bathing at night. I have taken basin shower for a long time when I found the Feds polluted the running water with radiated material that would cause skin cancer. Last year I found they tried to perform a search and arrest by "finding drug trace" in Sewage water so I had to pour the bathing water into the lane. The way to frame is to contaminate victim by newspaper. It happened in last September, see #984. My wife came back in afternoon. To my surprise, she also brought back a newspaper. She rarely did that. It was 10 months away since last time someone dropped free newspaper at my door. The Feds plays that planting trick again. Of course, I didn't touch that plastic paper bag. I also found that recently there were many junk mail with big envelop. I think they play the same function to plant drug trace on victims. The Chinese newspaper of 7/21/2018. See "984. Trick to plant drug trace on victims (9/30/2017)" at #1029. If you read my messages from begining, you know that my problem started with isotope money. Isotope is a good tracer. It is invisible. It can be only detected by special instrument. People are not aware of it even they are traced by isotope. I think it is vastly used by Feds. But isotope also will hurt health. It's radioactive. So there is another usage other than tracing - killing. The victim used to have a cancer. It's a murder disguised in natural disease. It was about in 2001,(?) when I was shaving one day, I sudenly noticed there were many new moles on my cheek. I used to take a side sleep. Mostly I slept on my right side, there were many moles on my right cheek. There were less moles on my left cheek because I slept less on that side. The fresh black moles alarmed me. I thought Feds contaminated my pillow with radioactive material which would cause a skin cancer. (I'll use "isotope" for radioactive material hereafter) I changed the pillow and slept with clothes or towel underneath my head which I often washed. It works. Small moles faded away. Big mole, turned into pale black. It's no more the scaring oil-black colour. Since Feds poisoned the tap water, I used to buy bottled water or got the water from other source such like gas station or rest room of store. But even these water were often found poisoned because I depended on other's drive which always guided me to the market where poisoned water and food were prepared in advance. So I used to test the water to make sure if it was "clean". Started from February this year, I started to have cough after meal. It was a sympton that food contanimated with isotope. But I failed to identify the source. Once my wife had the supper at same time with me. She coughed after meal. My wife rarely touched the dish I cooked. The only common food we had was rice. But it was me cooked the rice. The ingredients were rice and water, both verified "clean" beforehand, what happened? I was puzzled. Soon I solved the problem. A few days later I suddenly found there were many moles on the back of my hands. I was immediately aware of that the tap water was contaminated by isotope. I do the dish wash by hands everyday. (We never use dish-washer) Though I avoid to drink tap water, I wash with it. Both hands soaked in isotope tap water caused a skin cancer sympton - moles. It also explains why we coughed after eating the rice. Though I cooked rice with clean water, I washed it with isotope tap water which contaminated the rice. I wash with tap water to save "clean water". I abandoned tap water right away. It works, one month later, the black mole on the back of my hands faded away. It reminds me of the radiation clean work by Feds last December. (see "274. Radiation", "275. Radiation 2 ") and Judge's cough which led him into the jail. . (see "298. Intimidate Judge (3/22/05)"